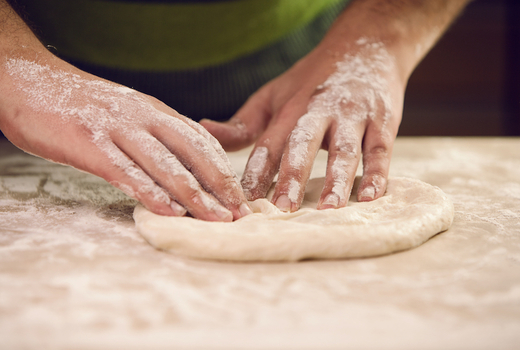 Fulfill your dreams of being an expert pizza crafter while you sip on unlimited glasses of wine at Make Pizza Drink Wine, an interactive and incredibly fun culinary adventure taking place from 6:00pm to 8:00pm every Tuesday in April and every Wednesday in May at Fornino in Brooklyn. 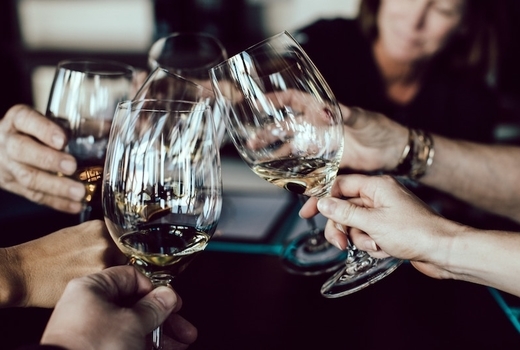 Grab your $69 pulse (a $93 value) for a ticket to Make Pizza Drink Wine that includes hors d'oeuvres, the unique opportunity to craft your own delicious circular creations, and dessert while you sip on a selection of excellent wines for 2 hours. Attendees will be greeted with their initial hearty glass of bold red or crisp white wine, noshing on appetizers like creamy burrata, fresh focaccia bread, and more. You'll then get your hands dirty with dough, eggs, and all the various drool-inducing elements that go into the development of the perfect pizza, all the while still swigging from your glasses of vino whose end is nowhere in sight, finalized with some homemade tiramisu to sweeten the evening. Bottomless wine, incredible pizza, your closest friends, and newfound skills to impress your boss at a dinner party; these are just a few things to expect after an evening spent at Make Pizza Drink Wine, where guests are invited to be an integral part of a fun-filled food-centric journey. Led by the man who is credited as starting the New York City artisanal pizza craze in 2004, Chef Michael Ayoub upholds the notion that this is not your average cooking class. After chowing down on indulgent appetizers like Italian chickpeas with house-made focaccia bread and wood-fired crostini topped with ricotta and honey, Classic Neapolitan pizzas will be made in the style of your choice. 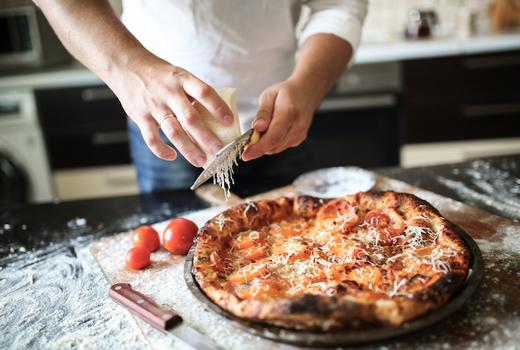 Be it Margherita (tomato, mozzarella, basil, olive oil, parmesan), Calabrese (tomato, mozzarella, sopressata piccante, parmesan), or Funghi Misti (mozzarella, caciocavallo, mixed mushroom, white truffle oil), you'll concoct your pizza under the guidance of a true master. 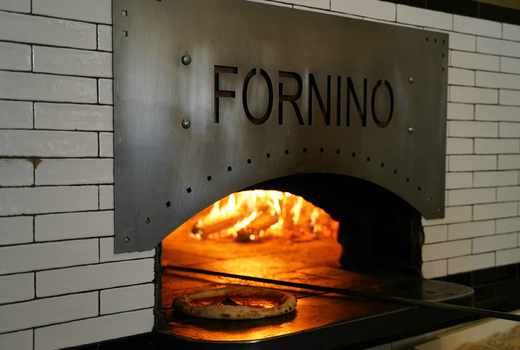 Pop it in the enormous wood-fired oven in the center of Fornino, an authentic, intimate spot nestled within a quintessentially Brooklyn-style building on Manhattan Avenue. 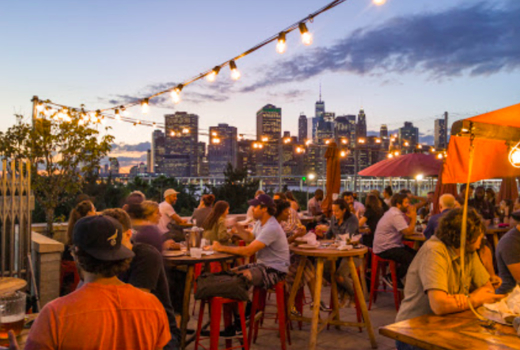 Once you've devoured your pizza, take advantage of the abundant social setting with a hearty self-serving of homemade tiramisu and a few moments in the fresh air on their patio with the Manhattan skyline as your breathtaking view. 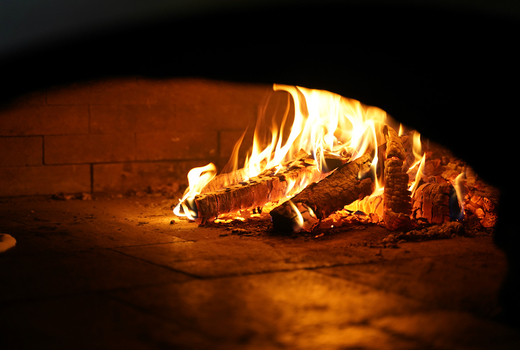 Admission to a Make Pizza Drink Wine Class from 6:00pm until 8:00pm on a date of your choice at Fornino Restaurant. 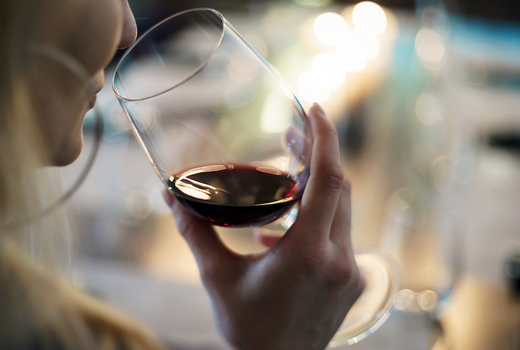 2 Hour Red & White Wine Open Bar to enjoy as you make your creations. Choice of Making Traditional Margherita, Calabrese, or Funghi Misti Pizzas. "Visited here last weekend with my husband and I'm so glad we stopped in! Everything about this place was wonderful. We had an awesome server! The food was absolutely amazing. The pizza was great too! Everything was excellent." "I can't explain how amazing this place is, you just have to go there yourself! This place is so great! Very cute for a date night & the food is delicious! Everything looks fresh & our pizza tasted so delicious. Brick over pizza with thin crust; so delicious! Very satisfied and looking forward to coming here again." Class runs from 6:00pm until 8:00pm. Expires Wednesday May 29, 2019.